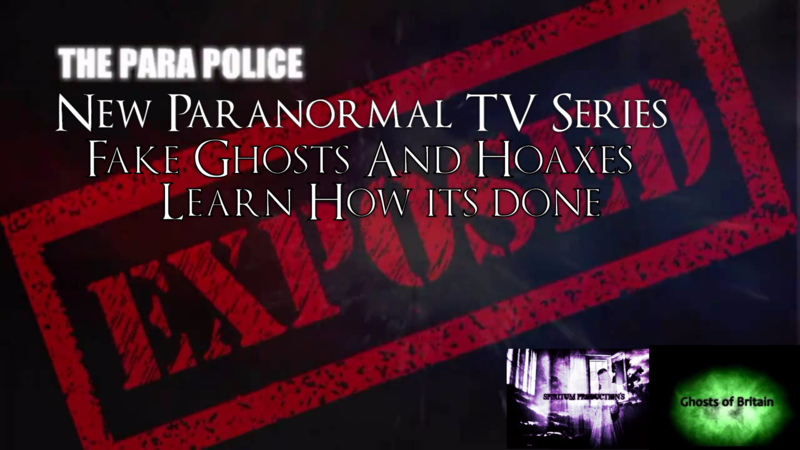 Home / Paranormal Police: Exposed - Series / New Show – The Paranormal Police: Exposed – Fake Ghosts & hoaxes & Stories. New Show – The Paranormal Police: Exposed – Fake Ghosts & hoaxes & Stories. The world of the paranormal community is riddled with, fake ghost pictures, videos.. the chances are that most ghost videos on the internet may have the simple explanation for, or they may indeed be faked. The paranormal Police aims to catch out the fakes, and frauds and expose them, However it is not fully about catching people out, its also about showing how certain things COULD be faked, so if you ever come across something similar on the internet you may question it. So the best thing we can do is make you aware of whats possible and how its done.. and just remember.. If something seems to good to be true It PROBABLY ISNT TRUE..
A team of seasoned investigators from a select few paranormal groups are on the watch, looking out to see who’s been true to them self’s..
And yes we are apart of this adventure! Previous post: Paranormal Investigator Exposed Part 2 – The Aftermath!!! Next post: paranornal magazine looking for writer’s – and new episode para police out today. Fantastic …then get the people who were nasty and ride to keep commenting. . Not go quiet when its been proved . .